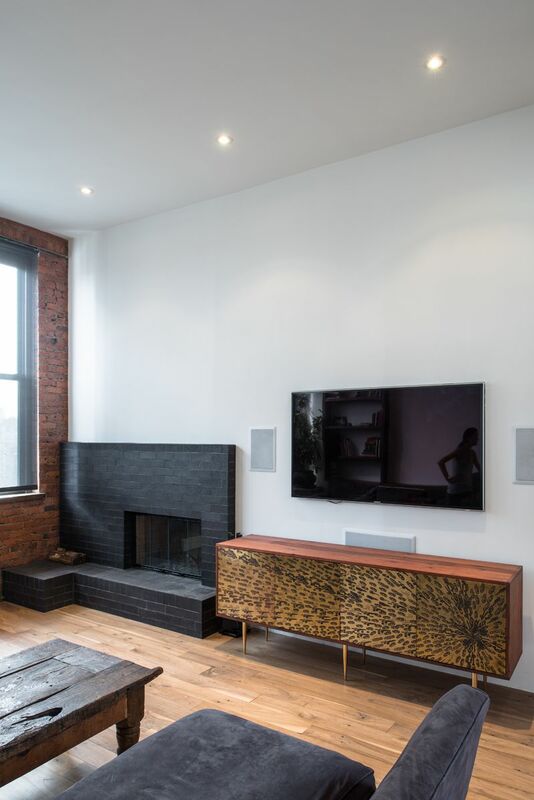 This East Village penthouse was designed for nocturnal entertaining. 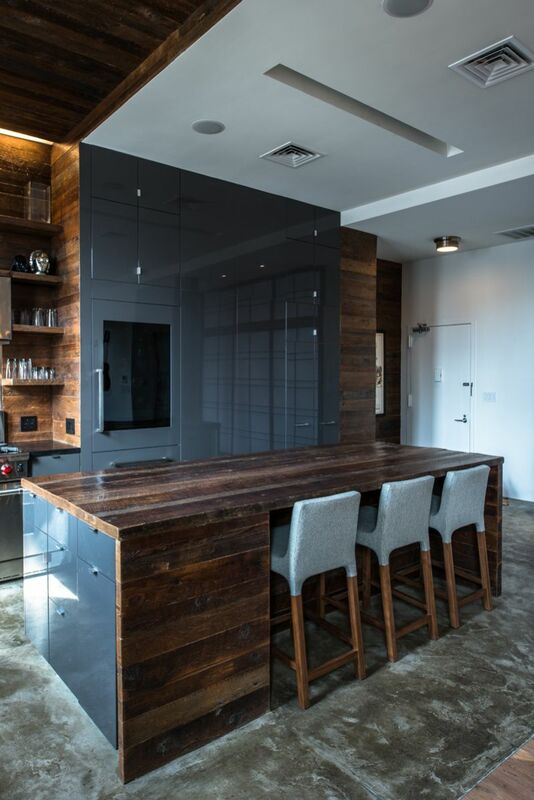 Reclaimed wood lines the walls and counters of the kitchen and dark tones accent the different spaces of the apartment. 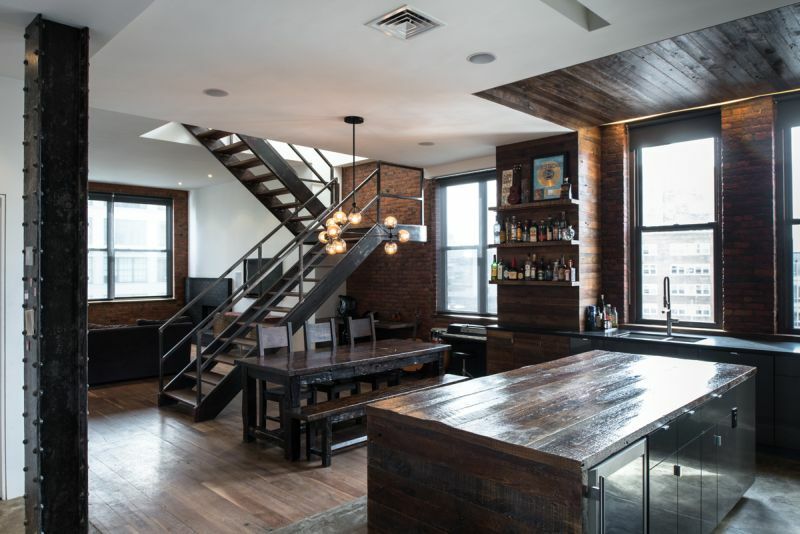 Brick walls were exposed and the stair was stripped to its raw steel finish. The guest bath shower is lined with textured slate while the floor is clad in striped Moroccan tile. The master bath takes advantage of the skylight and becomes more of a day space. Pale blue and white floor tiles reflect the sky and is accented with gray wall tile and a zebrawood veneer vanity. In collaboration with Ben Shulman. Photos by Alan Tansey.